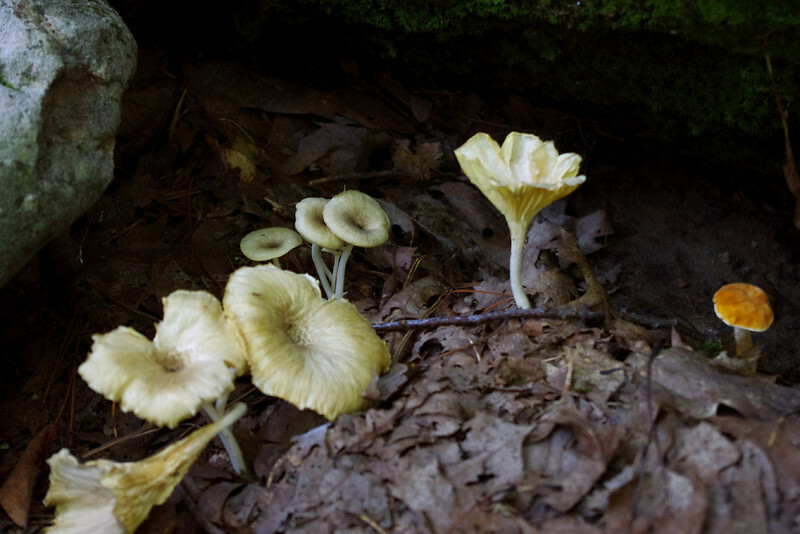 We tour historic sites, hike two nature trails, and visit some wineries. 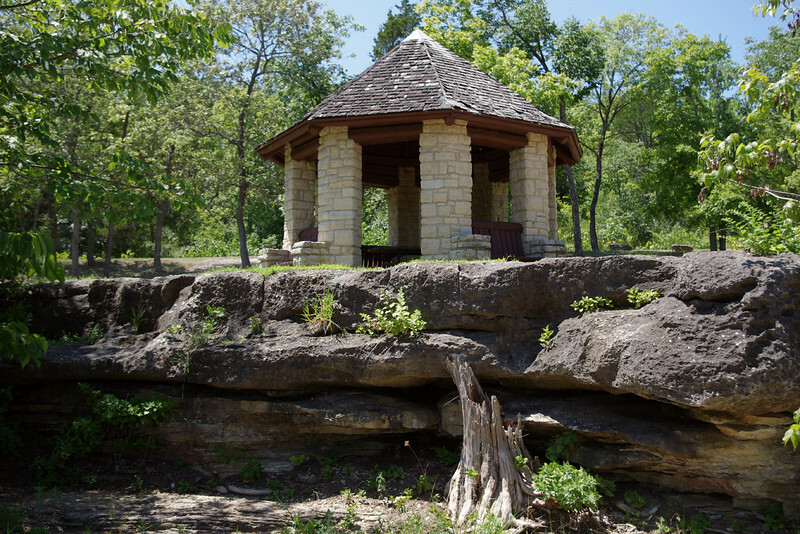 An African-American company of the Civilian Conservation Corps, built this octagonal lookout shelter in the early 1930s. 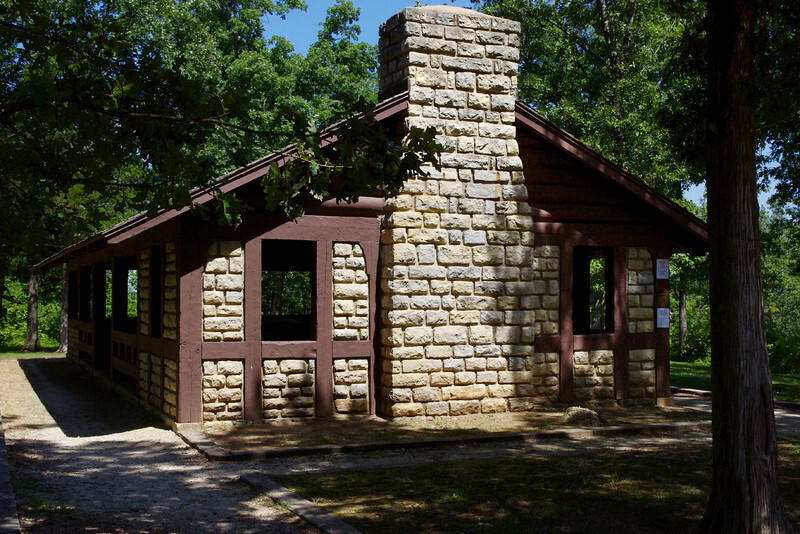 Washington State Park, near De Soto, Missouri. 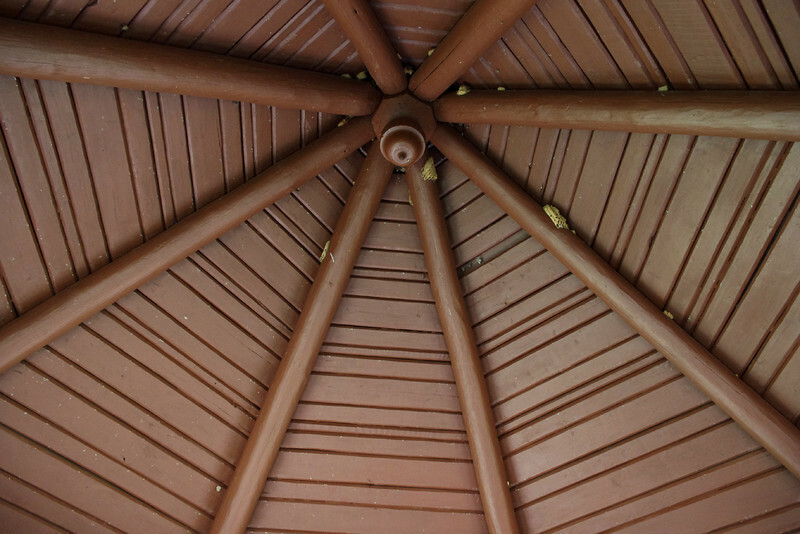 CCC octagonal lookout shelter, ceiling detail. 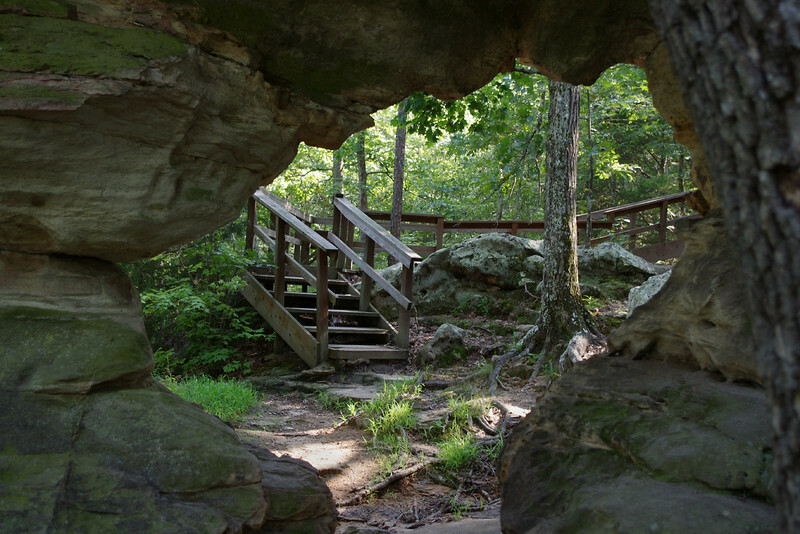 Washington State Park, near De Soto, Missouri. 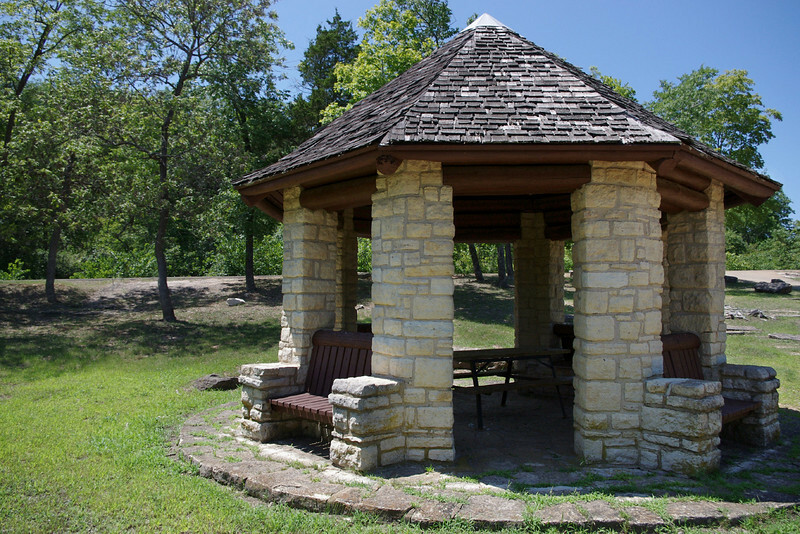 An African-American company of the Civilian Conservation Corps, built this pavillion in the early 1930s. 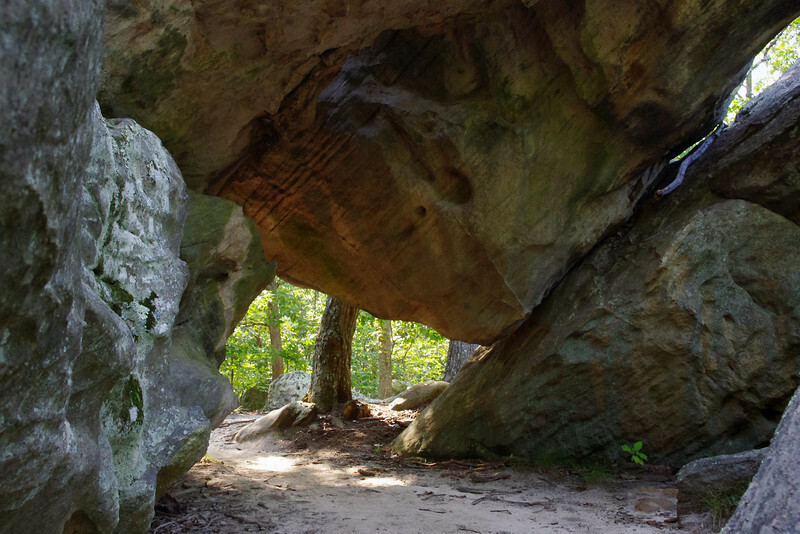 Washington State Park, near De Soto, Missouri. 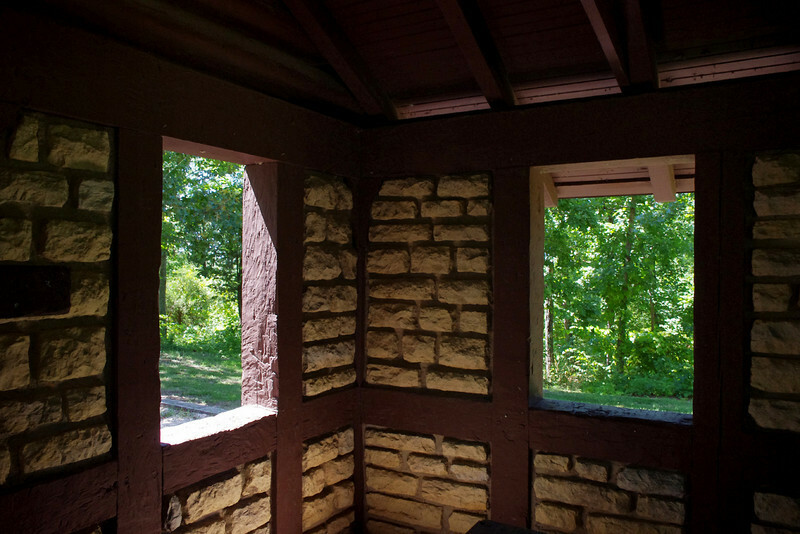 Interior, Civilian Conservation Corps, pavillion. 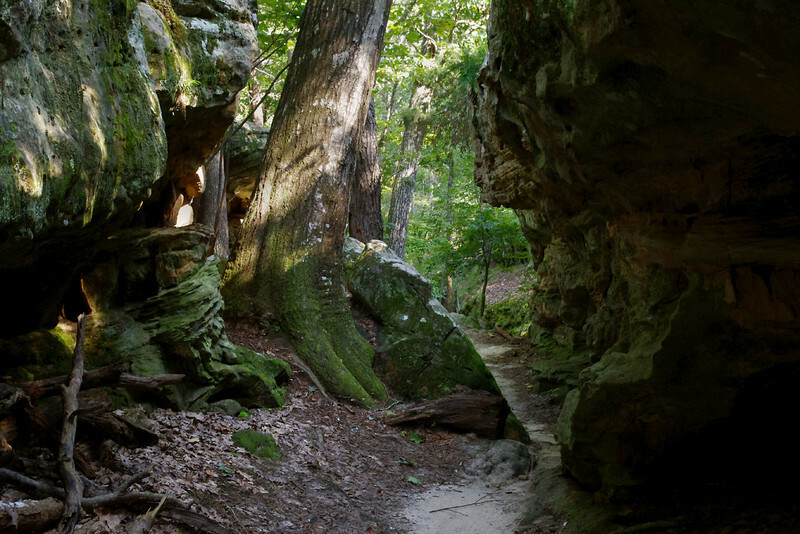 Washington State Park, Missouri. 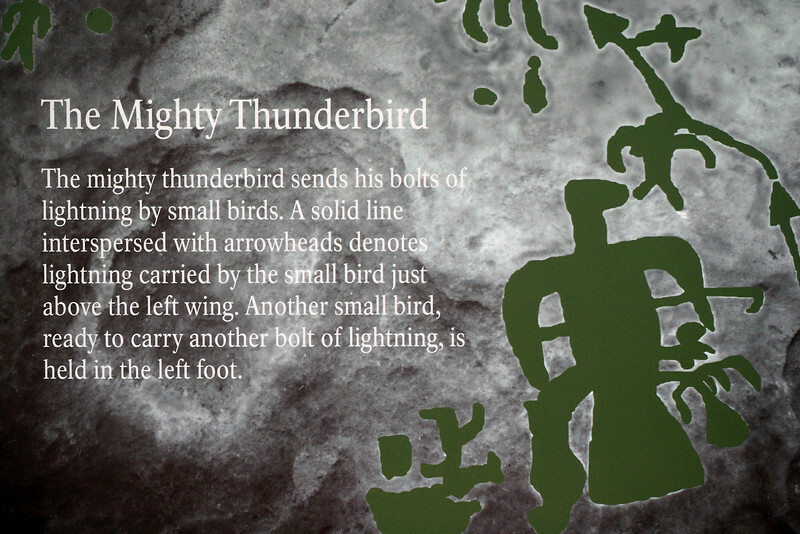 Thunderbird petroglyph, Washington State Park, near De Soto, Missouri. 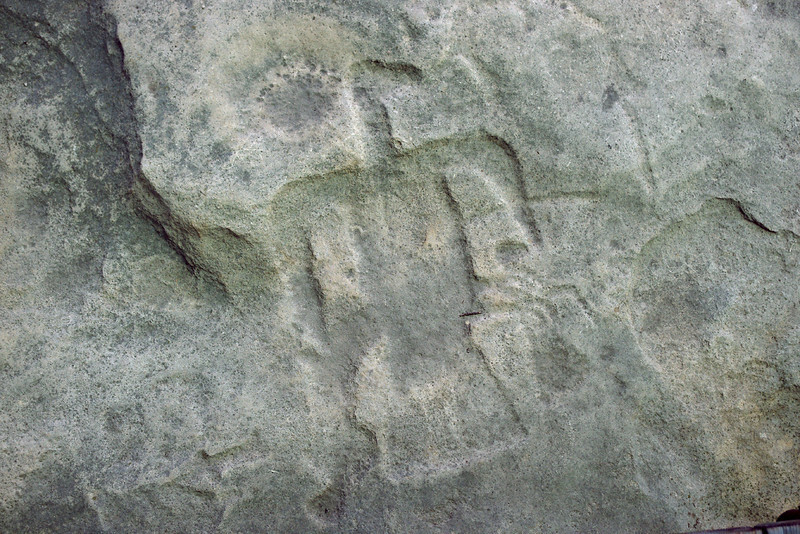 Petroglyph sign, Washington State Park, near De Soto, Missouri. 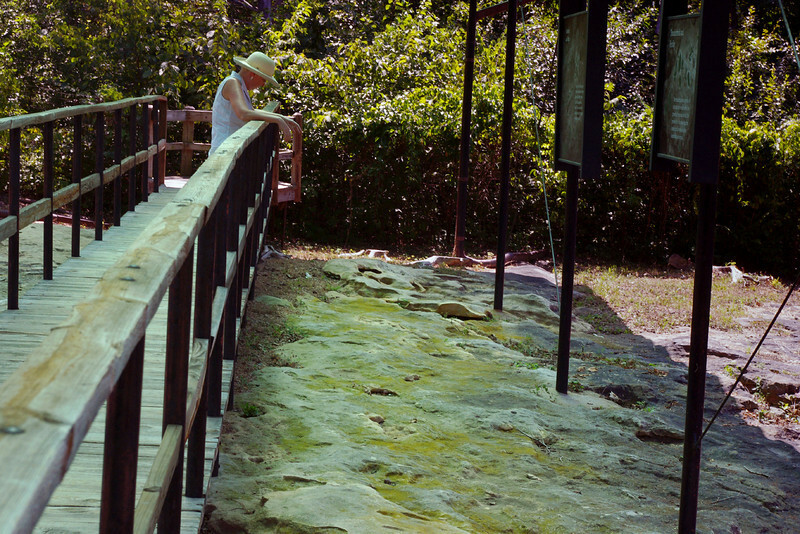 Rita, viewing the petroglyphs, Washington State Park, near De Soto, Missouri. 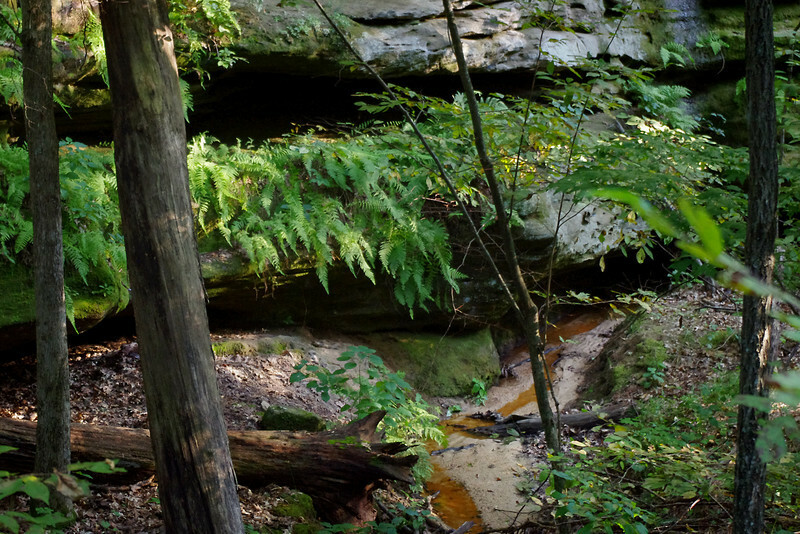 Rita at the Pickle Creek Natural Area near Ste Genevieve, Missouri. 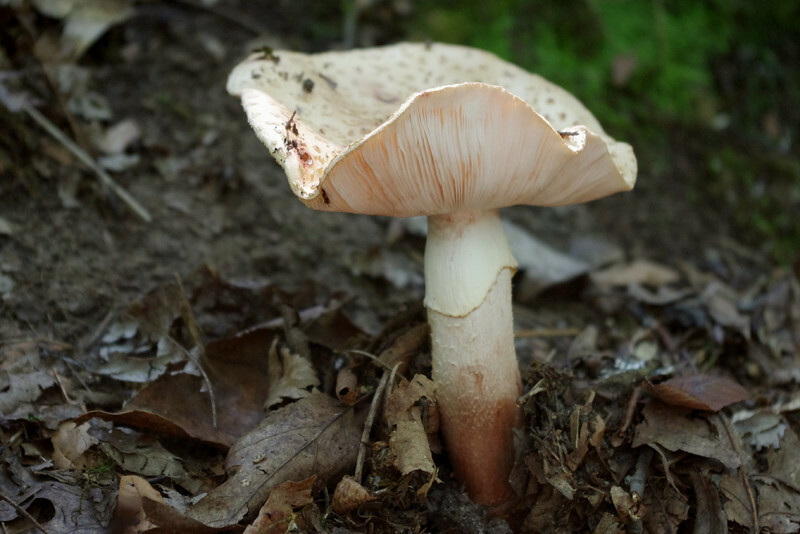 Fungi - Pickle Creek Natural Area near Ste Genevieve, Missouri. 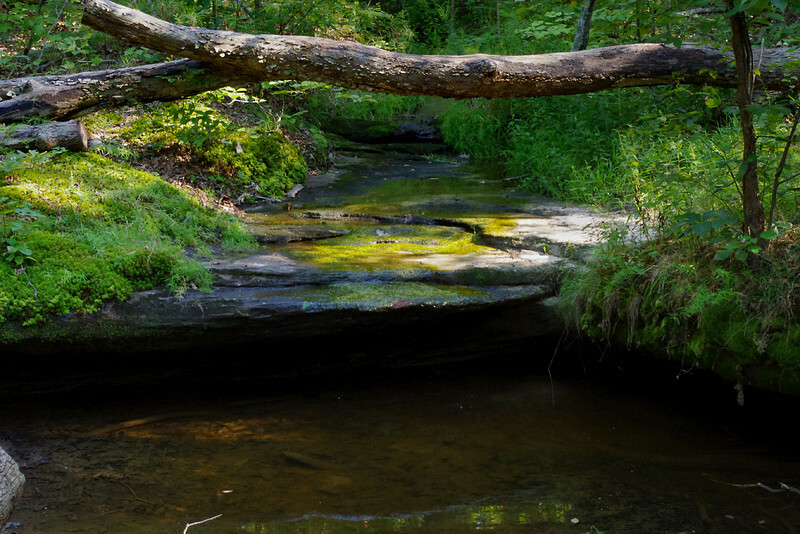 Trail - Pickle Creek Natural Area near Ste Genevieve, Missouri. 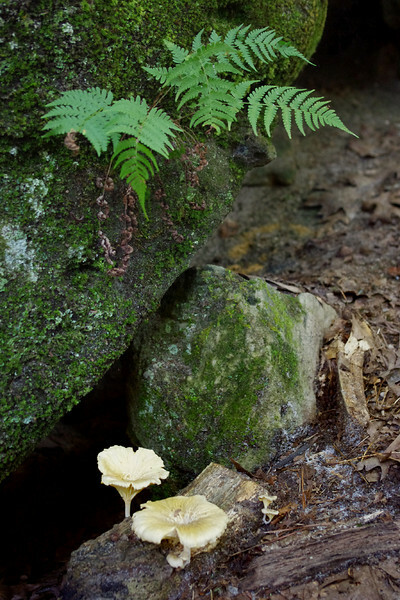 Fungi and ferns - Pickle Creek Natural Area near Ste Genevieve, Missouri. 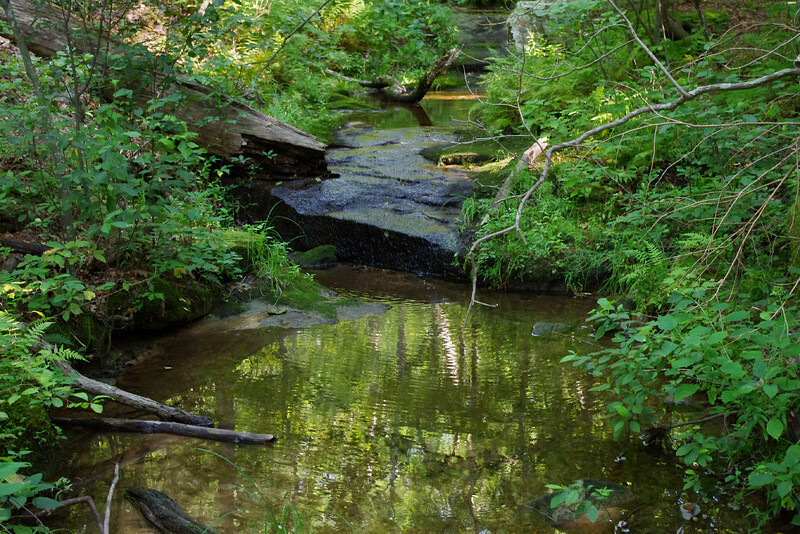 Pickle Creek Natural Area near Ste Genevieve, Missouri. 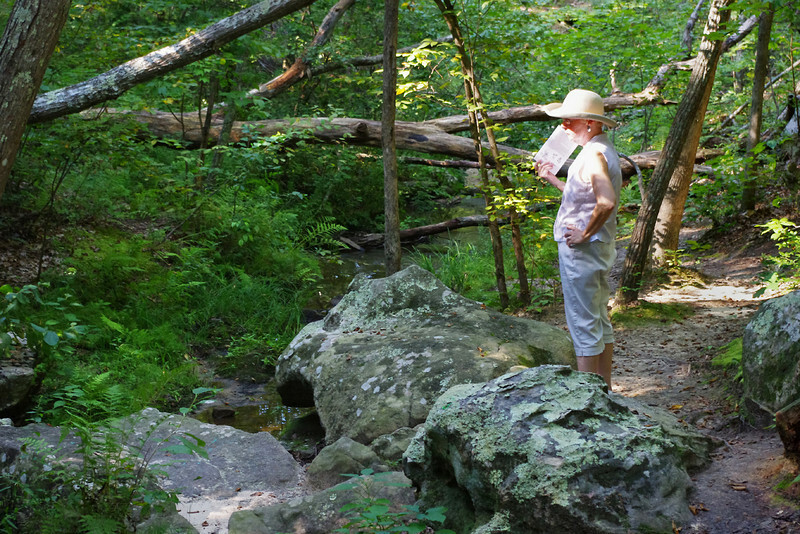 Rita on the trail, Pickle Creek Natural Area near Ste Genevieve, Missouri. 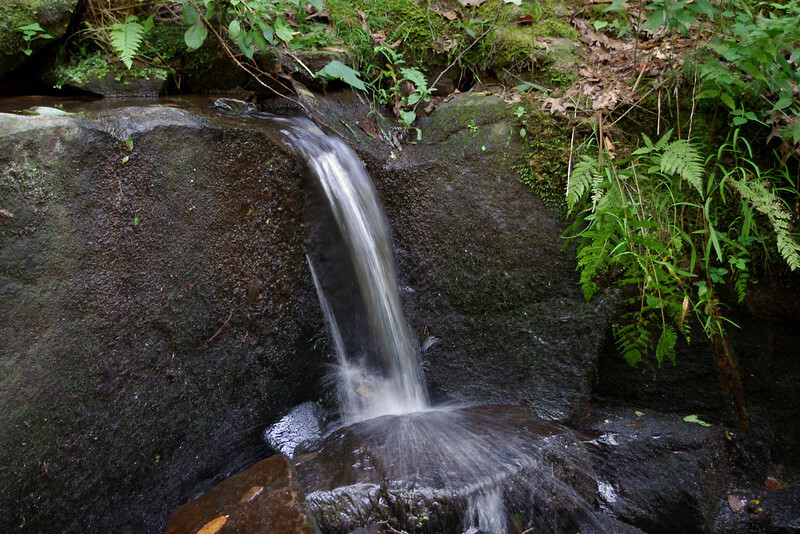 Tiny waterfall, Pickle Creek Natural Area near Ste Genevieve, Missouri. 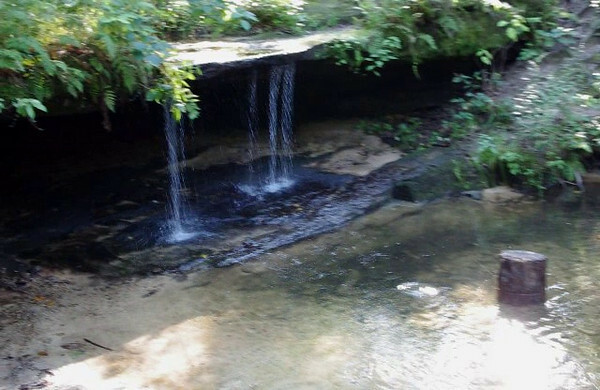 Short video clip of Pickle Creek. 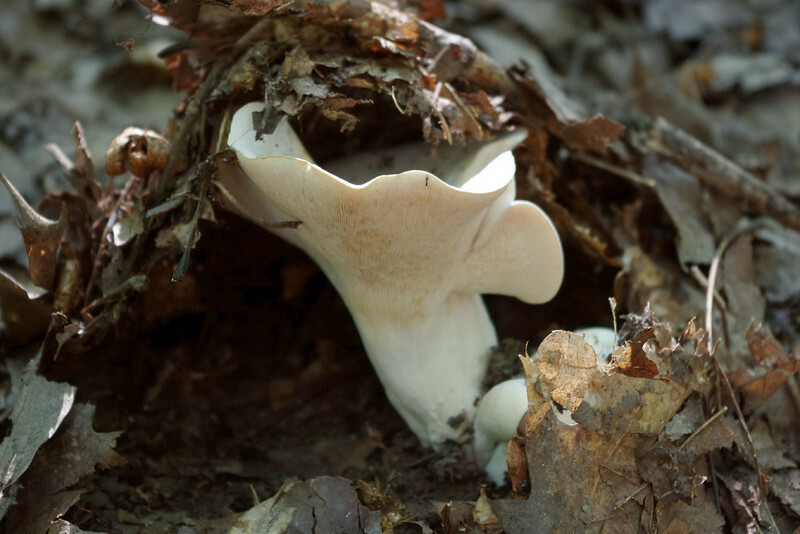 Look for the "Close" link, upper right corner when you're done. 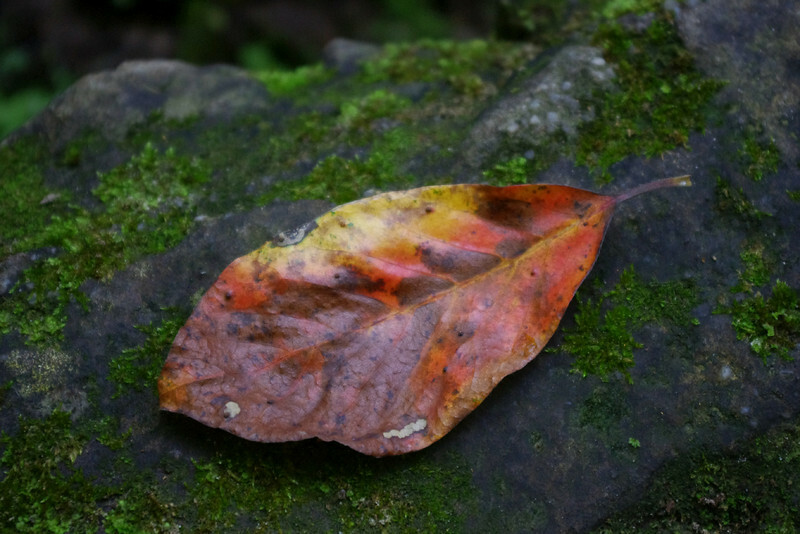 Red leaf on a mossy rock. 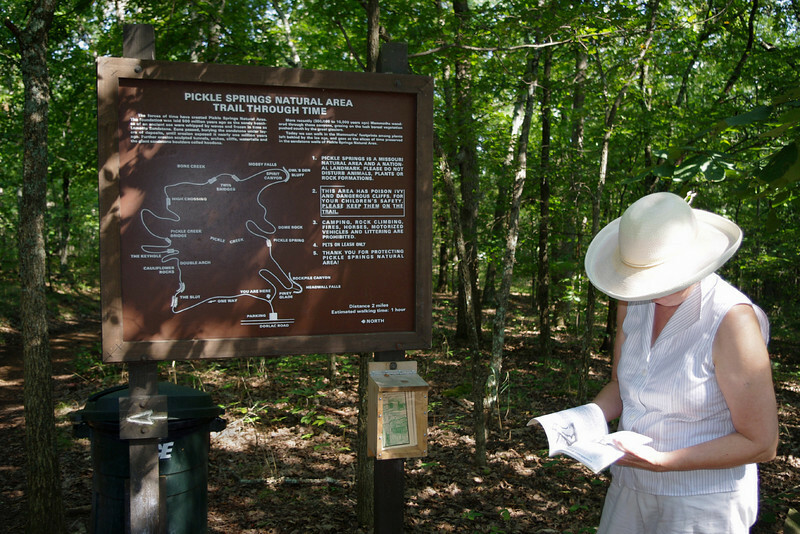 Pickle Springs Natural Area near Saint Genevieve, Missouri. 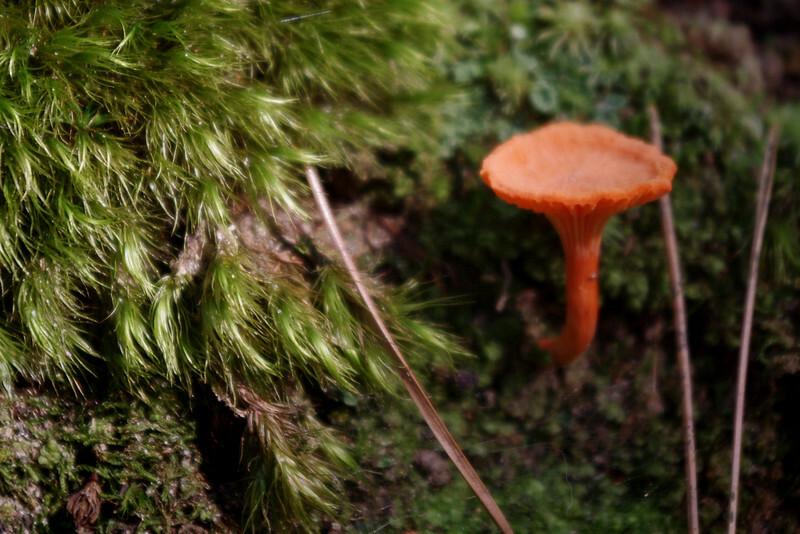 Orange fungi, Pickle Springs Natural Area near Saint Genevieve, Missouri. 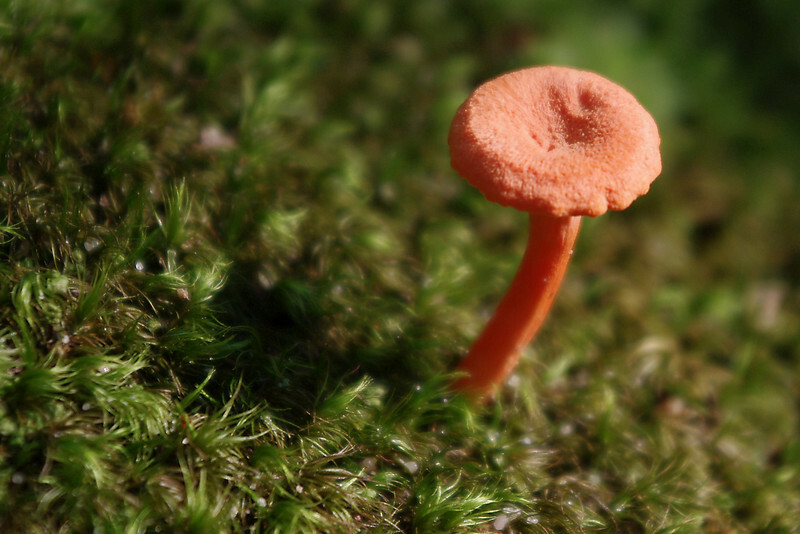 Orange mushroom, Pickle Springs Natural Area near Saint Genevieve, Missouri. 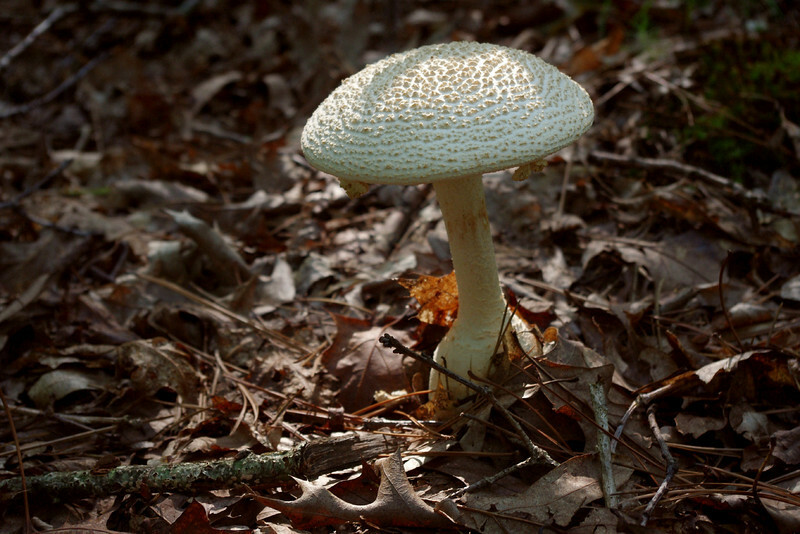 White mushroom, Pickle Springs Natural Area near Saint Genevieve, Missouri. 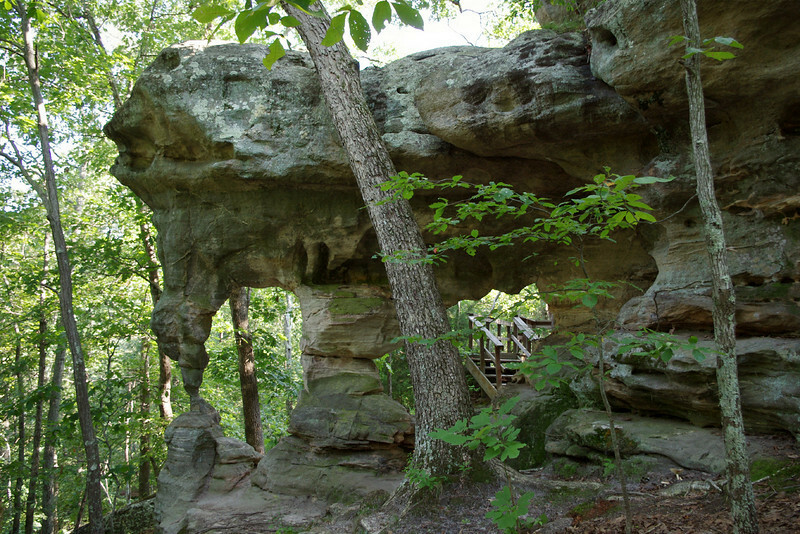 Pickle Springs Natural Area near Saint Genevieve, Missouri. 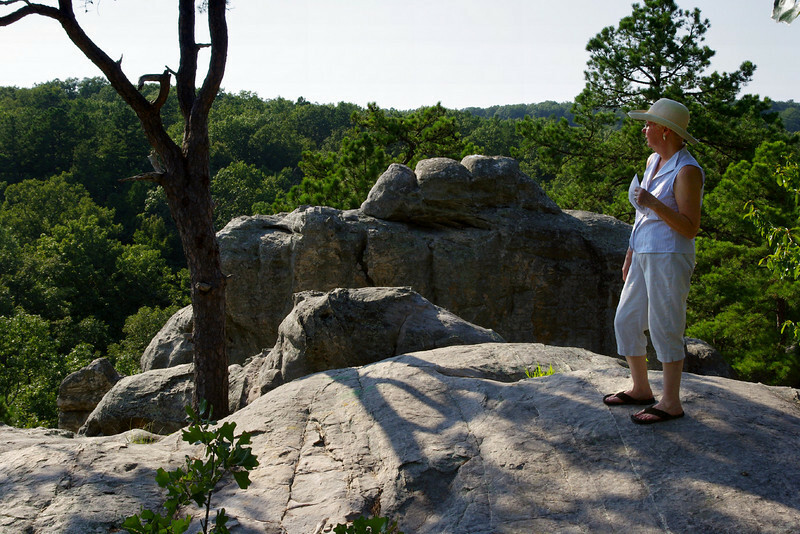 Rita, Pickle Springs Natural Area near Saint Genevieve, Missouri. 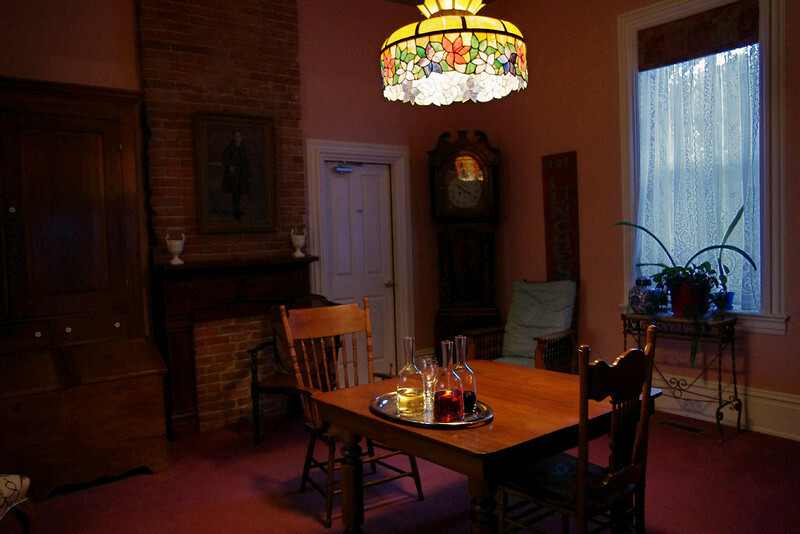 The Main Street Inn Bed and Breakfast, Saint Genevieve, Missouri. 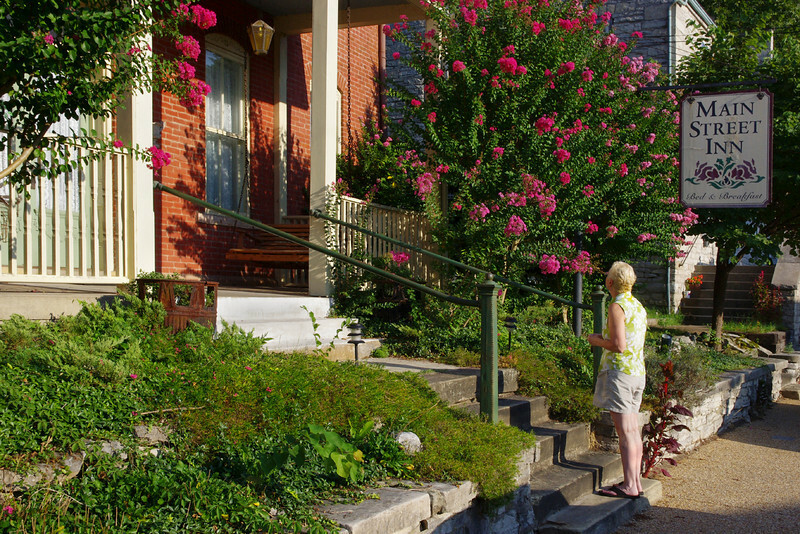 Rita in front of the Main Street Inn Bed and Breakfast, Saint Genevieve, Missouri. 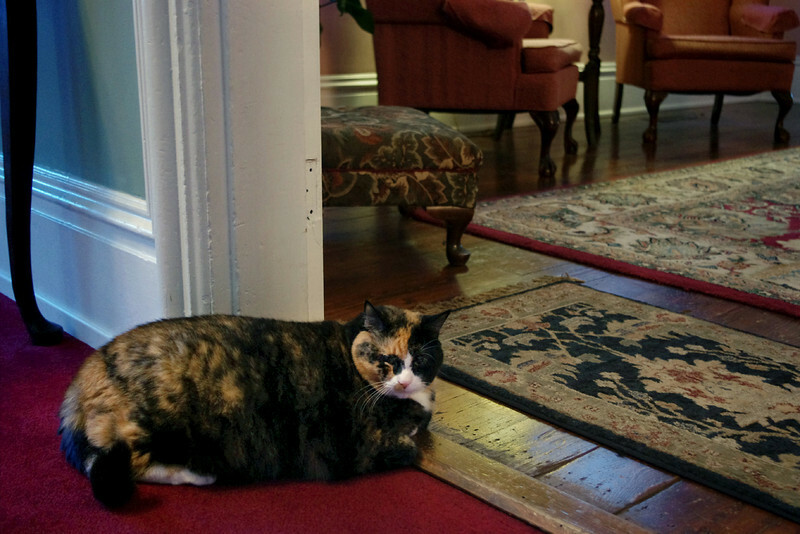 House cat, Main Street Inn Bed and Breakfast, Saint Genevieve, Missouri. 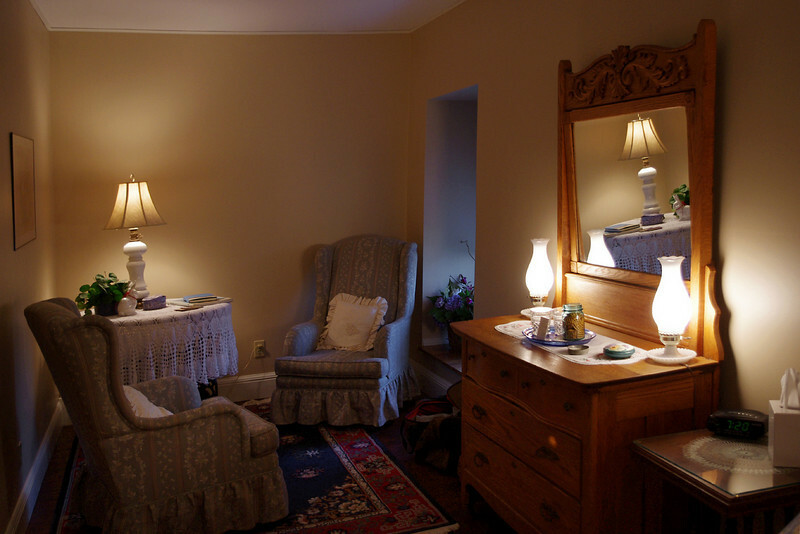 Parlor, Main Street Inn Bed and Breakfast, Saint Genevieve, Missouri. 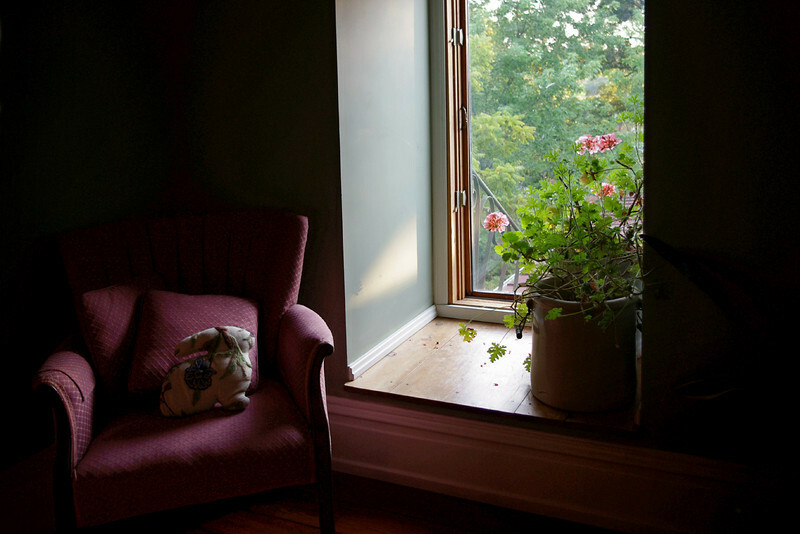 Hall window with chair and rabbit. 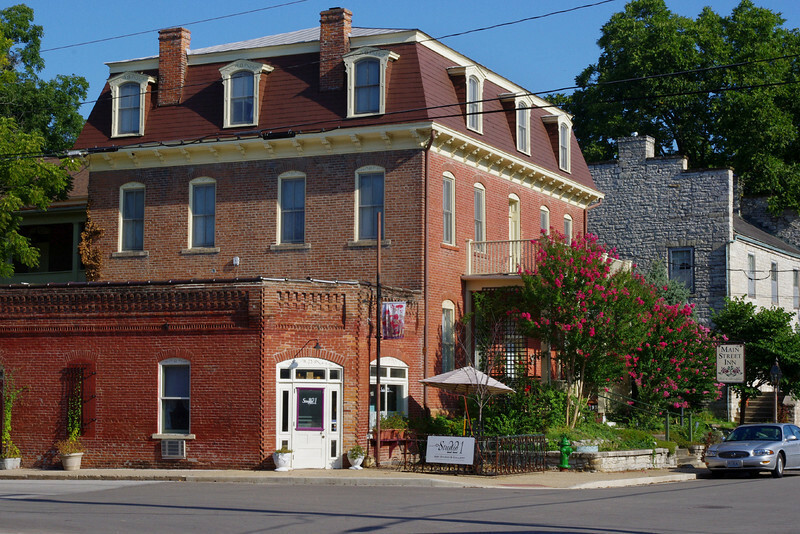 The Main Street Inn Bed and Breakfast, Saint Genevieve, Missouri. 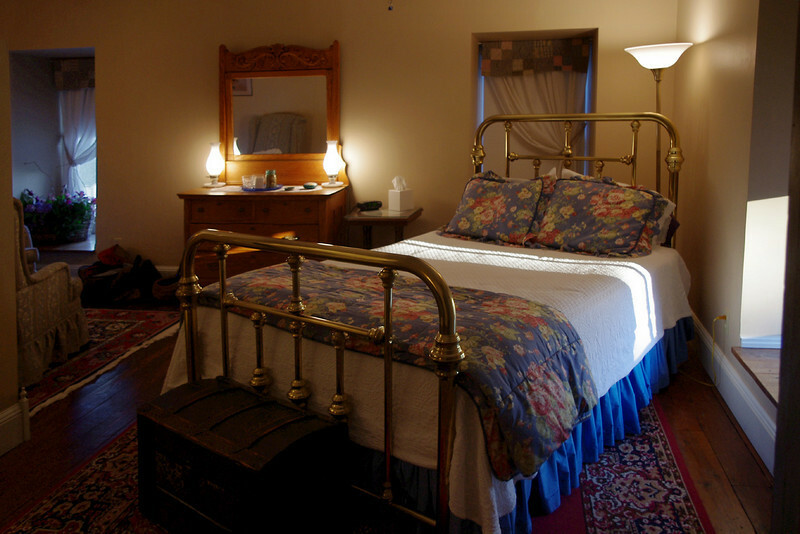 Bedroom, Main Street Inn Bed and Breakfast, Saint Genevieve, Missouri. 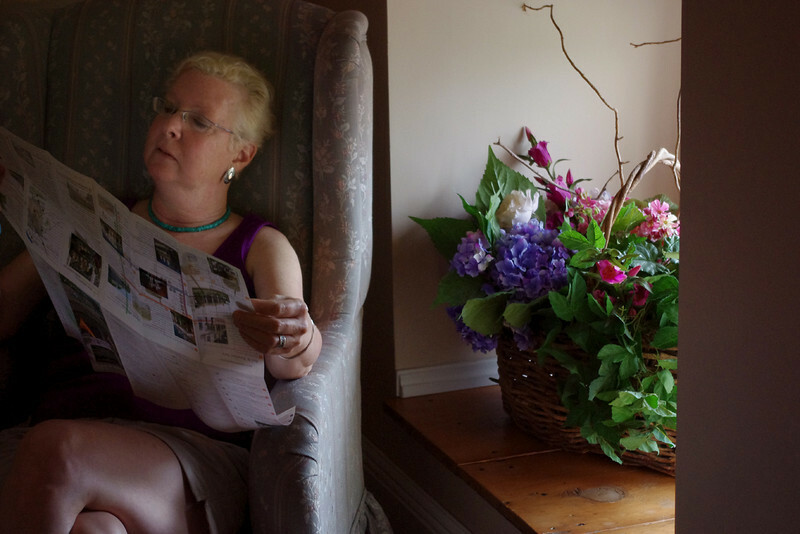 Rita reading by window light in her room at the Main Street Inn Bed and Breakfast, Saint Genevieve, Missouri. 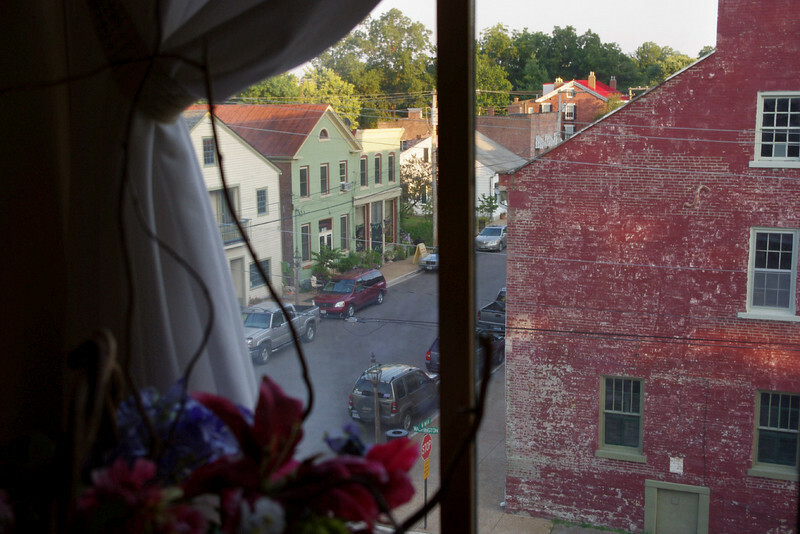 View of Main Street from the 3rd floor window of the Main Street Inn, Saint Genevieve, Missouri. 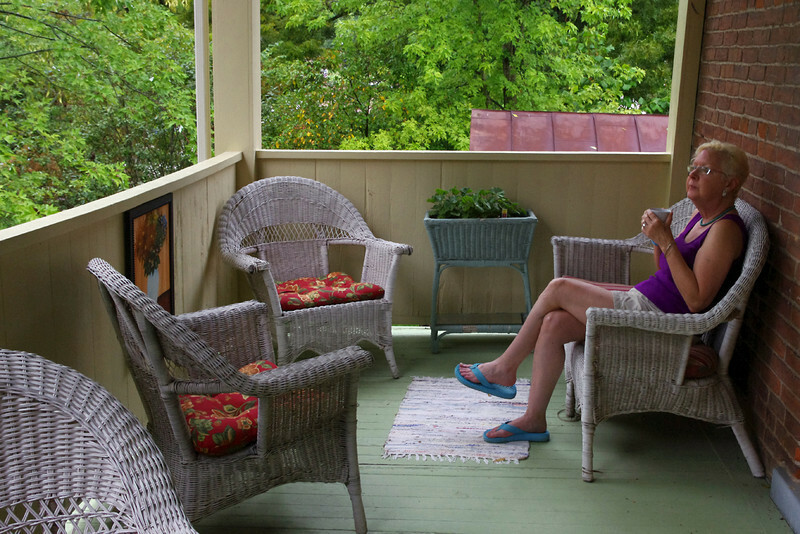 Rita; 2ond floor porch of he Main Street Inn Bed and Breakfast, Saint Genevieve, Missouri. 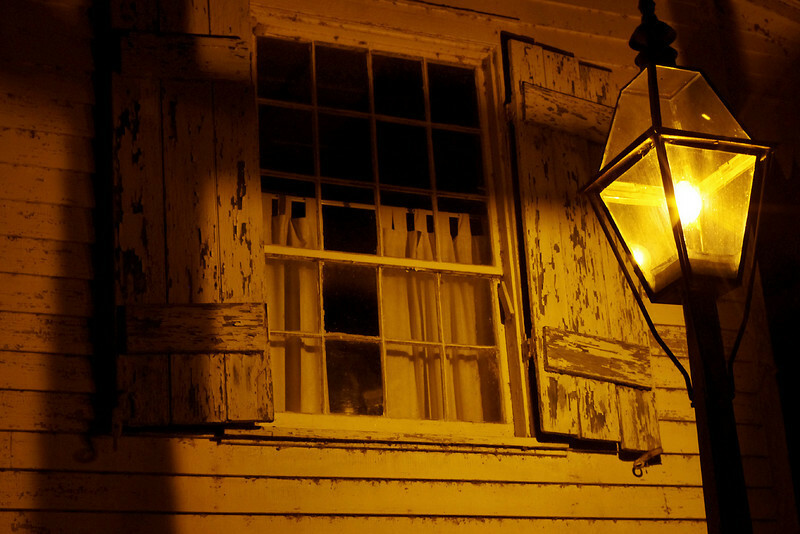 Street lamp and window shutters. 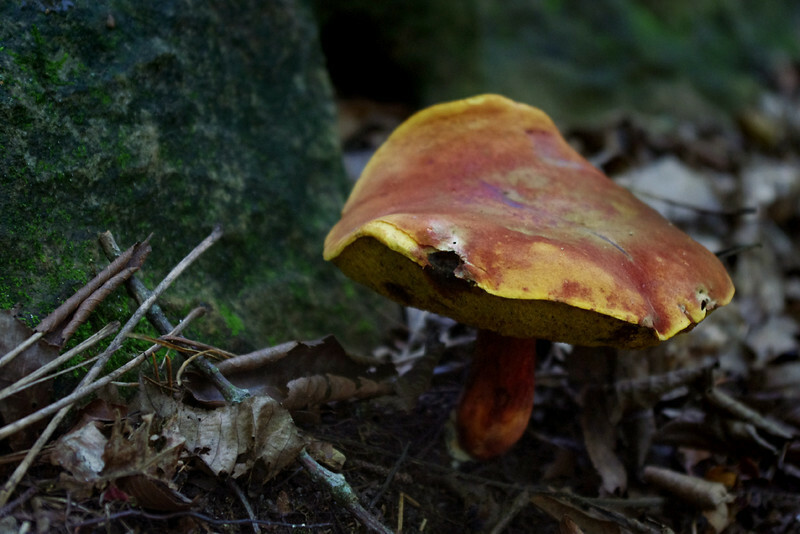 Saint Genevieve, Missouri. 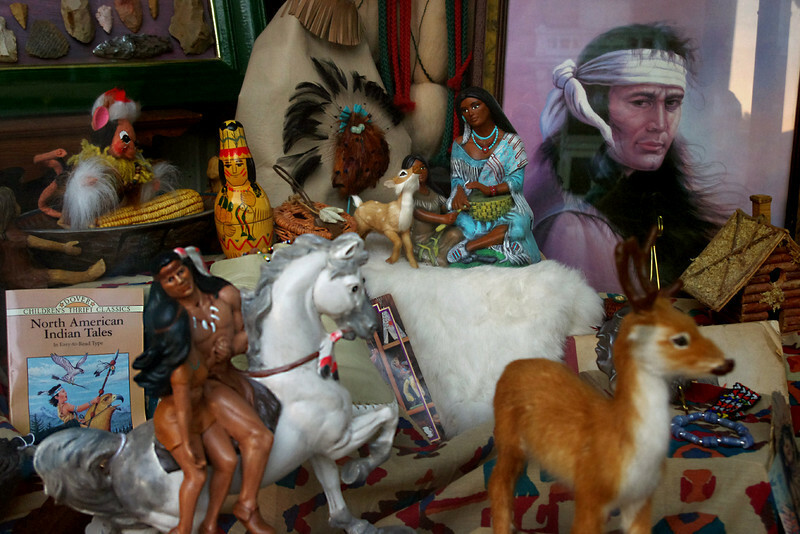 Indian trinkets, shop window. Saint Genevieve, Missouri. 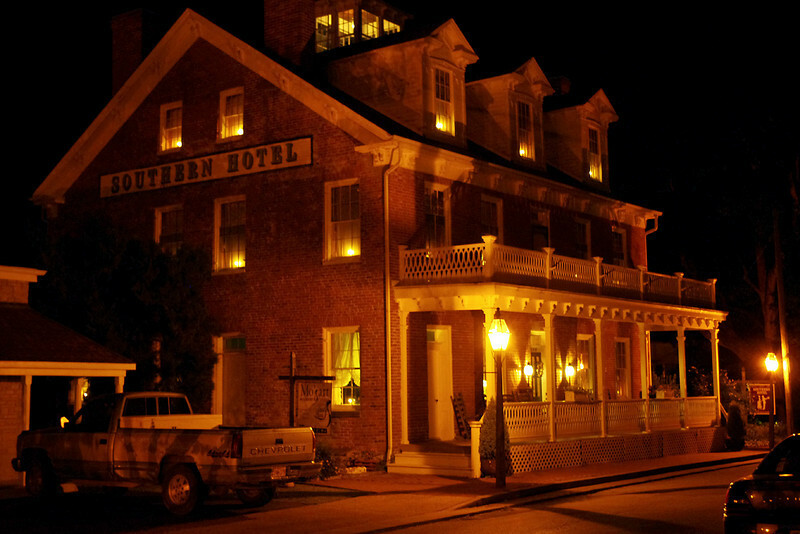 Southern Hotel at night. Saint Genevieve, Missouri. 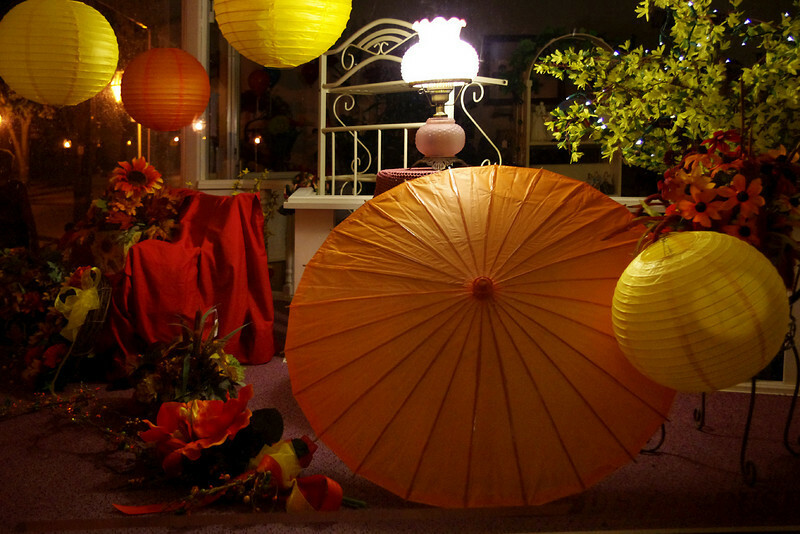 Paper lanterns and parasol in shjop window. 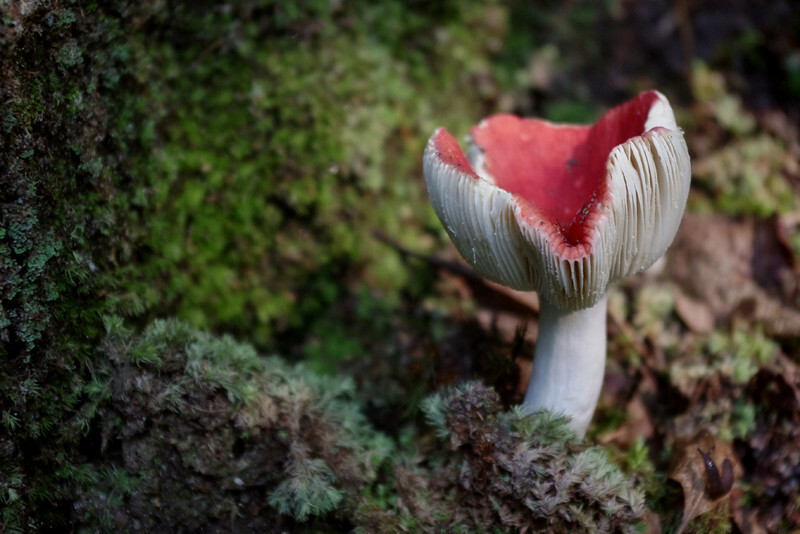 Saint Genevieve, Missouri. 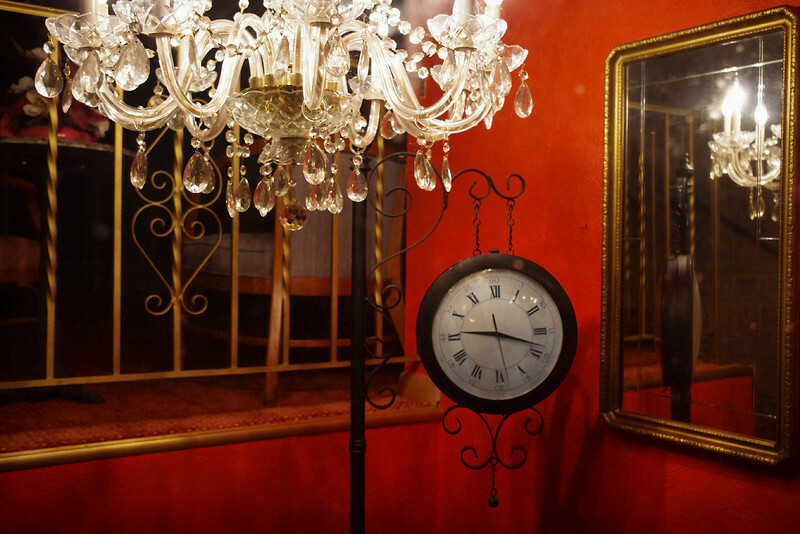 Shop window with clock and chandelier. 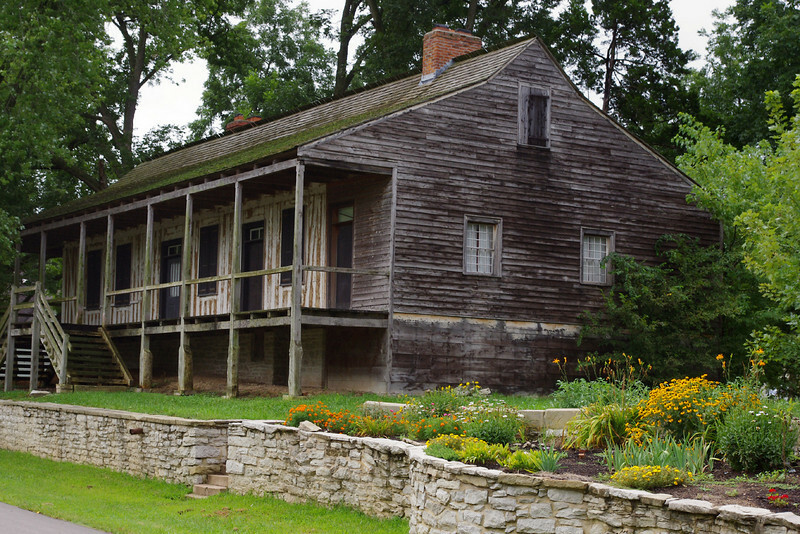 Saint Genevieve, Missouri. 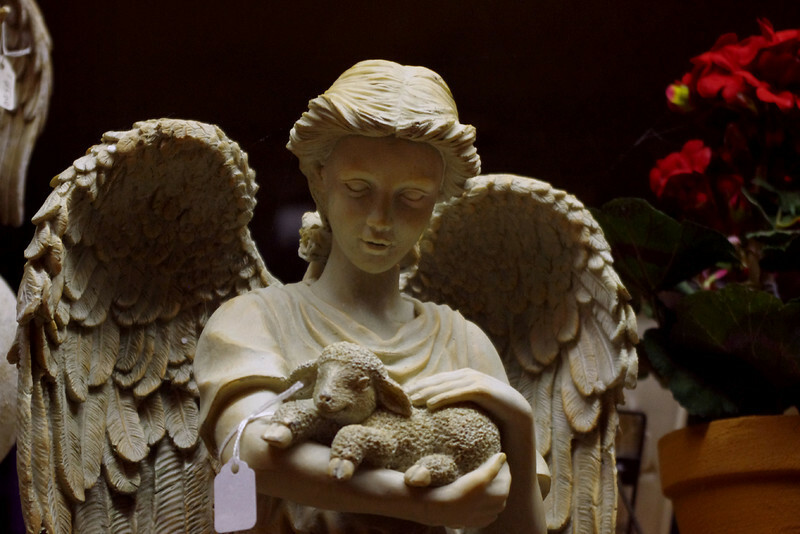 Angel and lamb, shop window, Saint Genevieve, Missouri. 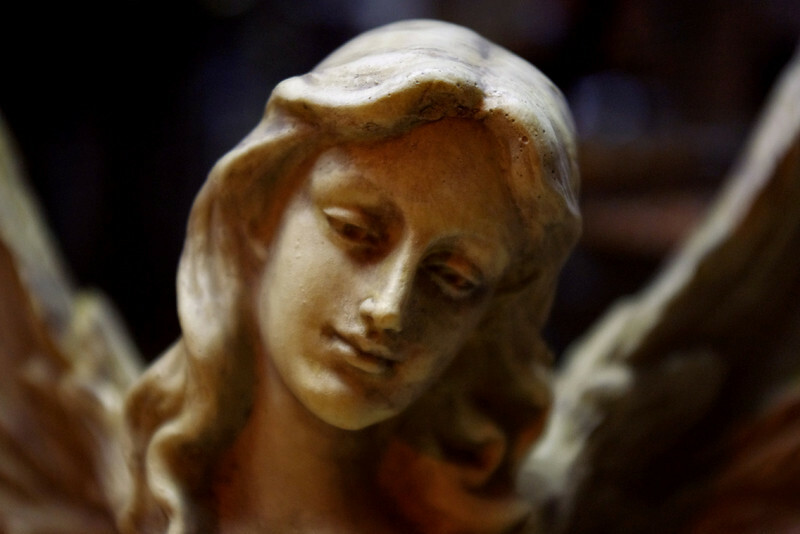 Angel detail, shop window, Saint Genevieve, Missouri.